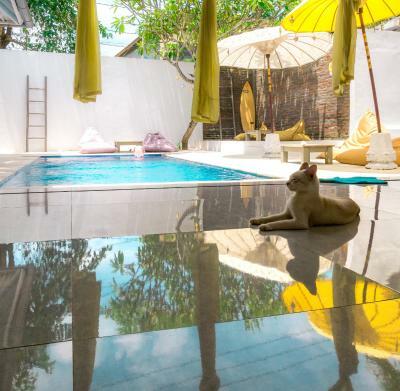 Lock in a great price for La Boheme Canggu – rated 8.9 by recent guests! The hotel have a great open area with a really nice pool. You are allow to have free pancakes, fruits, cafe, te , ect the whole day. La boheme is a good place to stay, I like the pool and the ambience in this place, the staff is very helpfull and kind and we can make our own pancake with watermelon and banana for breakfast. They have a pet and name it Honey really friendly. 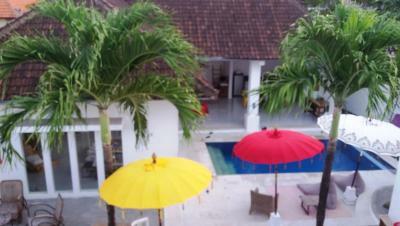 I recomended you to stay here while in Canggu. The owners of La Boheme have been wonderful and very kind. Every day fresh pancake dough, bananas, watermelon and free drinking water available. They clean the rooms every day and the whole hostel is super clean, too. Amazing pool in the middle of the hostel! I'd definitely come back. Very clean rooms and nice hangout area with a pool. People were all awesome and there’s a lot of restaurants around. Close to Berawa Beach. Staff did the room every day. Nice open and clean rooms with a locker drawer. 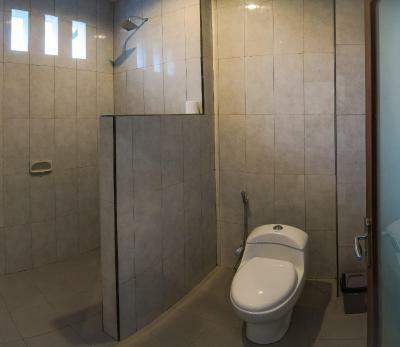 Extra bathrooms outside and one in the room. Cute little swimming pool. All day free pancakes, watermelon and water. Nice that you can make your own breakfast during the day. 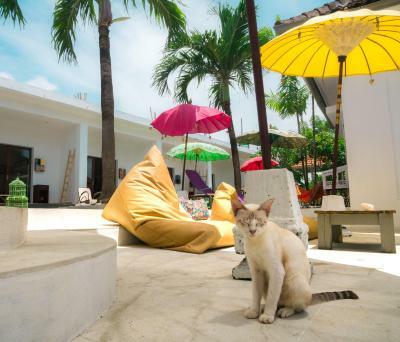 La Boheme Canggu is offering accommodations in Canggu. Located around 1.9 miles from Echo Beach, the hostel with free WiFi is also a 16-minute walk away from Vue Beach Club. The hostel has a garden and has an outdoor swimming pool. La Boheme Canggu has a terrace. The area is popular for cycling, and bike rental is available at the accommodation. Speaking English and French at the 24-hour front desk, staff will be happy to provide guests with practical guidance on the area. 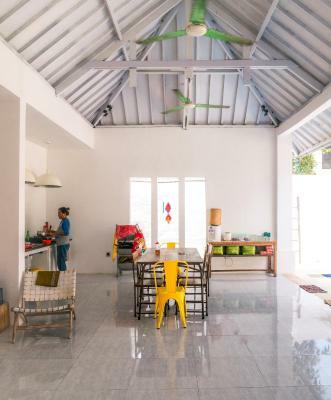 La Laguna Bali is 1.3 miles from La Boheme Canggu, while Berawa Beach is a 10-minute walk away. 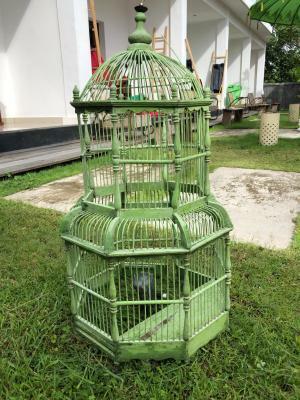 The nearest airport is Ngurah Rai International Airport, 10 miles from the hostel. 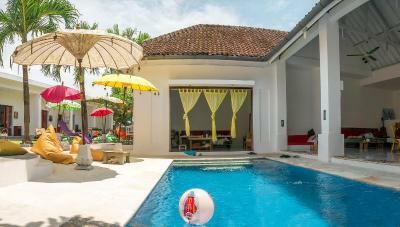 When would you like to stay at La Boheme Canggu? 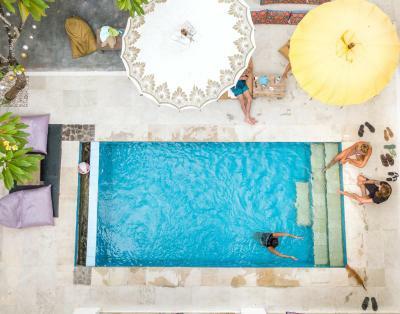 House Rules La Boheme Canggu takes special requests – add in the next step! Perfect staying for low price. Owner is super nice and accommodating! Strong recommendation! The dorm room ran out of toilet paper twice in the two days I was there. I don’t think the bathroom was cleaned very often. Also I think there was only one light switch for the whole room which was next to my pillow - perhaps not the best if others need to turn off/on the light. Minor details that could be easily fixed. Lovely space with airy communal areas- pool, yard and dining area. Good air conditioning in the rooms and helpful owner who clearly cared about guests. Beds fine and comfy. Well placed for the beach and lots of great cafes and other amenities. the bunkbeds look quite sparse, but we all slept very well. Really nice chill area and reaaaally nice people. Very socal hostel, made friends very quick. Pretty close to the beach, pancakes & fruit all day. Also rooms get cleaned every day. The water from the shower was cold, and check out is at 10:30 but I was asked to move off my bed at 9:30 which I thought was quite early. Loved that it was like a home environment, enjoyed the pool and the rooms were clean and nice, I had food poisoning for the 2 nights I stayed and so didn’t get much chance to explore the area, but I know it was quite central and close to a pharmacy and a small shop for basic needs. - Great staff! They’ll help you with anything. (Bike rent, Ticket to Gili, taxi, etc.) - You have access to all you need in a short walking distance. (Beach, restaurants, Café, etc.) - The rooms looks great! I slept well and everything was always clean. (Cleaning every day) - FREE PANCAKES!!!!! The beds were a little bit hard and it was loud if you turn around in bed. The owner is such a sweetheart, she is really caring person and really fun to hang out with. The breakfast is simple but great. 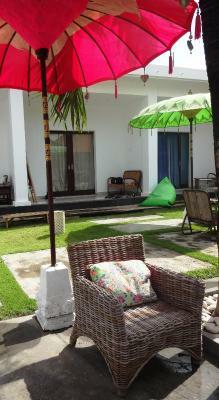 The hostel is located in a very good area, it is close to all different facilities. They have also really cute pets in this hostel. I really enjoyed my time in this hostel, I will definitely come back to this hostel. Staff doesn’t speak english. I booked stay with the breakfast. There wasn’t any breakfast only bananas and watermelon whole day and base for pancakes and we supposed to do our own. Also in the room some of the sockets wasn’t working so we ended up with 2 sockets for 6 people. Hot water is not in the showers in the rooms only outside. The owner is the sweetest. The location is so good, the rooms were clean. The whole day you could eat fresh fruits and pancakes. The pool was Nice and clean. Evertything was good to me and i would def. Going back there !